Archaeological digs near Palestine, Illinois, (population 1,368) have revealed that Native Americans lived in the region as early as 1000 A.D. The earliest tribes were mound builders, and several of the ceremonial mounds they constructed are still visible. 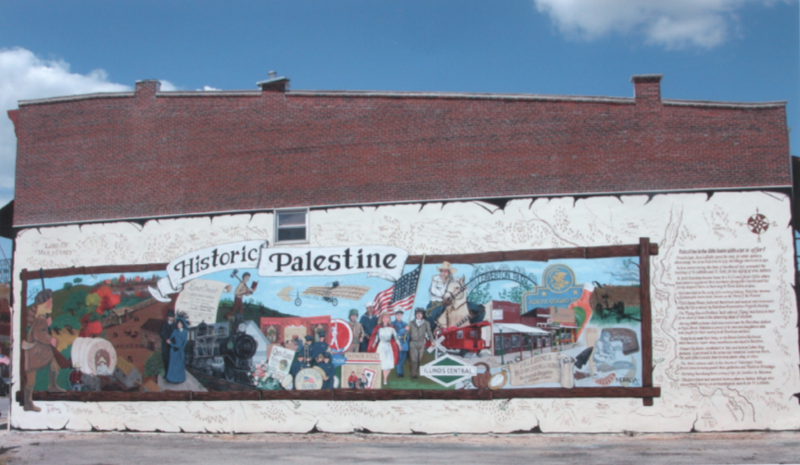 When French explorer John LaMotte came to the area in 1678, he named it Palestine after the land of milk and honey. Local tribes traded and were friendly with the French, who arrived in the late 1600s, but Indian hostilities escalated with the War of 1812, when Fort Lamotte was built to protect settlers. Palestine was organized as a village in 1811 and became the seat of newly formed Crawford County in 1818. Its U.S. Land Office drew many visitors, including 21-year-old Abe Lincoln, who stopped for several days en route to the Springfield area. The following year Robert Kinzie came to buy 102.29 acres of land, which subsequently became the core of Chicago. Local notables include the Flying Rousch Brothers, early aviation pioneers, as well as Mary Gogin, the first woman to own and operate a business in Illinois. A more infamous inhabitant was Elizabeth Reed, who poisoned her husband and burned down the jail. She was the first woman to be executed in Illinois. A walking/hiking/driving trail takes visitors past historical sites in and around Palestine. Among them is the Harper House, home of blacksmith, farmer, and judge J.B. Harper, which dates to the 1830s and is believed to be the oldest home in Crawford County. Now renovated, the house serves as a museum and a venue for private parties and community events. 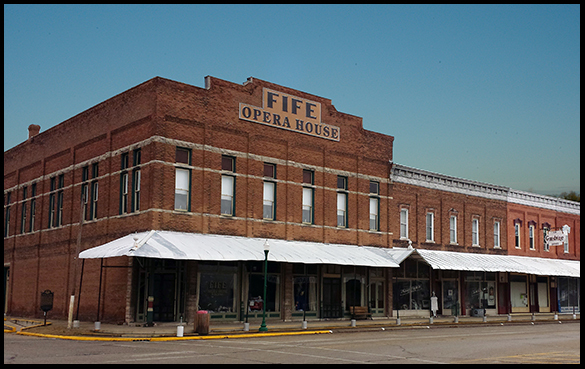 Another restoration, in progress, is the turn-of-the-century Fife Opera House. Each month from March through November, the Fort Lamotte Rangers, a black-powder shooting group, hosts events to promote the community’s heritage in the sport of muzzle loading. In December, the annual Debutante Ball is a re-enactment of a Civil War-era dance, complete with period costumes.